Patricia Eva "Bonnie" Pointer (born July 11, 1950) is an American R&B/Soul singer, most notable for being a member of the Grammy Award–winning vocal group, The Pointer Sisters. Pointer scored several moderate solo hits after leaving the Pointers in 1977, including a disco cover of The Elgins' "Heaven Must Have Sent You" which became a U.S. top 20 pop hit on September 1, 1979. Bonnie and youngest sister June began singing together as teenagers and in 1969 the duo had co-founded The Pointers (otherwise known as The Pair). After Anita joined the duo that same year, they changed their name to The Pointer Sisters and recorded several singles for Atlantic Records between 1971 and 1972. In December 1972, they recruited oldest sister Ruth and released their debut album as The Pointer Sisters in 1973. Their self-titled debut yielded the hit "Yes We Can Can". Between 1973 and 1977, the Pointers' donned 1940s fashions and sang in a style reminiscent of The Andrews Sisters; they also melded the sounds of R&B, funk, rock and roll, gospel, country and soul. Anita and Bonnie who wrote the group's crossover country hit, "Fairytale," in 1974, which also became a Top 20 pop hit and won the group their first Grammy for Best Vocal by a Duo or Group, Country. Anita and Bonnie also were nominated for Best Country Song at the same ceremony. In 1977, Bonnie left the group to begin a solo career. The remaining sisters continued scoring hits from the late 1970s to the mid-1980s and had a major breakthrough with their 1983 album Break Out. In 1978, Pointer signed with Motown in the same year, Bonnie released "Heaven Must Have Sent You," which reached No. 11 on Billboard Hot 100 chart. She released three solo albums, including two self-titled albums for Motown, before retiring from the studio. Bonnie appeared on Soul Train on March 2, 1985 (Season 14, Episode 20). She still continues to perform, and reunited with her sisters on two separate occasions: when the group received a star on the Hollywood Walk of Fame in 1994, and during a Las Vegas performance in 1996 singing "Jump (for My Love). "At the beginning of 2008, Bonnie embarked on a European tour, and has been working on her autobiography. Bonnie performed at the Trump Taj Mahal in Atlantic City on Saturday, October 25, 2008. She also starred in Monte Hellman's 2010 romantic thriller Road to Nowhere (film). 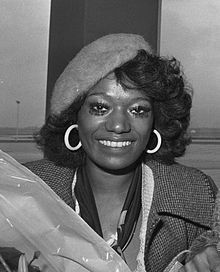 In 1978, Bonnie married Motown Records Producer Jeffrey Bowen, As of July 2014, after 10 years of separation, Bonnie filed for divorce after 35 years of marriage citing 'irreconcilable differences' as the reason. On May 4, 2006, shortly after the death of her sister June, Bonnie appeared on Entertainment Tonight saying her sisters had not fulfilled June's burial wishes, thus cremating her because it was cheaper. She also claimed that Anita and Ruth refused to let her ride in the family car at the funeral. Eldest brother Fritz Pointer responded that Bonnie demanded to be let back in the group, or she would not come to the funeral. On November 18, 2011, Bonnie was arrested in Los Angeles for allegedly possessing crack cocaine after the car she was riding in was pulled over after the cops had flashed a light in it. In June 2010, TMZ reported her upcoming stint in "Celebrity Rehab with Dr. Drew", the reality show about notable people that have struggled with substance abuse, because "the 59-year-old singer has a storied history of drug abuse." ^ "Archived copy". Archived from the original on 2007-06-29. Retrieved 2007-07-10. ^ "Making it official: Bonnie Pointer files for divorce from husband Jeffrey Bowen... 10 years after they separated". The Daily Mail. 2 July 2014. ^ "Pointer Sister arrested for crack possession". News.ninemsn.com.au. Archived from the original on 2011-11-21. Retrieved 2013-12-26. ^ "Pointer Sister Set for 'Celebrity Rehab'". TMZ.com. Retrieved 2013-12-26.